You want to finally live out your daydreams, have freedom, and exude moxie wherever you show up in your life. You want to reach your potential, make room for new dreams, and move upward and forward in your career, business, & life. You want to feel comfortable during conversations, create boundaries to enjoy your alone time, and feel replenished every day. But this is a daydream. The reality is that you hide behind a smile, your career is stagnant, and despite how much you love your alone time, you often feel lonely. Some think you’re unfriendly, others take advantage of your kindness, and you feel depleted and misunderstood. 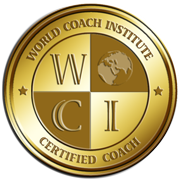 As The Wallflower Coach, I work with shy women who want to thrive in their life, conquer communication and peel away shyness. Shy women who want to discover their sweet spot, get rid of gimmicky crutches, and take actionable steps to find comfort in courage. Timid ladies who want to be visible at work, get that promotion, and be that woman they dreamed they’d be when they were little girls. Anxious women who want to shed their need to please, have a productive perspective of what others think about them, and reintroduce their perfectly imperfect self to the world. Quiet ladies who want to define their voice, embrace their quirkiness, and make a difference in a world that needs their input. I believe you can peel away your shyness and conquer communication because when you achieve this you will open up the doors to your highest potential and will dream bigger than you ever have before. When you work with me you get access to my knowledge and experience on peeling away shyness, achieving goals, and getting results in business, career, school, and life. My approach is nurturing and supportive mixed with tough love. I’ll encourage you to challenge yourself and reveal the natural you under the shy layers. The goal is to keep you accountable and on course to reaching your potential and beyond. By the time our work is done, you will have an actionable plan and strategies tailored to your specific needs so you have what you need to take control of your life, step into your wallflower power, and thrive. Grab your ‘Ideal Life Worksheet’. This simple worksheet helps you envision the bigger goal and then come up with something you can do now to work toward it. It breaks it down by all the different areas of your life. This will warm you up to the overall goals and give you some clarity about the different areas of your life. Later on, I will send you a video. Along with the worksheet, you also will get a list of social anxiety resources to help you if you feel you are struggling with debilitating social anxiety. Grab you ‘Ideal Life Worksheet’ here. Nadine has a quiet confidence that lets you know you are in good hands. She has advanced listening skills and is able to get to the point quickly to help assist making logical and effective change while removing the fear that can come up with making change. I have worked with Nadine, coaching diverse personalities and she demonstrated a keen understanding of the subtleties of each individual. Nadine is a great proactive support for her colleagues and other students and able to make clear what others may find difficult or overwhelming. I really appreciate her calm manner and approach to tough topics and being able to listen to the details and handle all parts of the people she coaches: their practical, emotional needs and aspirations to create a meaningful and fulfilling life. Nadine has a bachelors degree in general studies with a concentration in communication. She earned her associates degree in mental health. 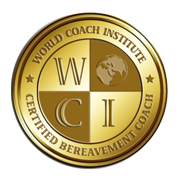 She is a certified coach who primarily works with those who struggle with shyness and anxiety. She also helps introverts leverage their ‘wallflower powers’. Her goal is to help you discover your sweet spot, peel away shyness, conquer communication, and achieve your life goals, so you can finally live out your daydreams. Nadine has a passion for psychology, journalism and she is the founder of a travel/culture publication.